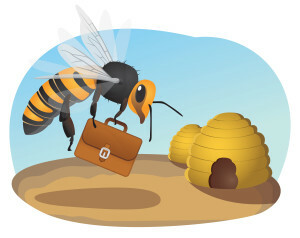 CFO Buzz is a news feature capturing top stories affecting CFOs. This feature is published Fridays so that CFOs can gain perspective over the weekend, allowing them to challenge themselves and think about how to improve their lives, careers and companies. 1) CFO as Chief Everything Officer? The business press has been talking for a long while about how the CFO is becoming more responsible for areas way beyond traditional finance. I continue to see this, but only in cases where the CFO is the trusted right hand to the CEO. So, if you’re a CFO and want to be indispensable to your CEO, focus on continuing to build that trust and the rest will follow. (It is certainly one thing that I work on with the CFOs that I coach). Many CFOs that I speak with are very interested in developing their key people further, and would love to have someone that they have developed eventually take over their role. This HBR article discusses how it is not enough to train them for skills and abilities – you need to give them real experiments and challenges too. Kelly Kramer, Cisco’s CFO believes that being a bit paranoid can be healthy. While I question whether CFOs need to advertise that they are paranoid, her focus on investing in innovation, making strategic acquisitions and fighting for digital talent are good areas for CFOs to think about being better at. Politics is not just for presidential candidates. Politics is a key differentiator between smart people that stay managers and smart people that become business leaders. I continue to see too many finance professionals focus on increasing their technical ability and competency, but avoiding managing relationships. Office politics does not need to be mean, nasty or vile. It does need to be thought through and planned, building alliances, business friendships and most importantly, trust. This article is a worthy reminder. As CFO, you can only be as good as your finance team allows you to be. The ability to hire right is very important for CFOs, yet, this is a continued challenge that they face. While I am pleased to help CFOs hire their lieutenants, I can’t help every CFO. Here are some tips to keep in mind that will help you hire right. The short-term is always on the CFOs mind, with Quarterly financial reporting, significant regulatory disclosures, stock price swings and investor demands taking up a good chunk of time and pressure on the publicly listed company CFO. With all this pressure, it is known that long-term is where real value is created. This article addresses some of these isssues. Many companies aim for growth through acquisition. Yet M&A can be painful. While there will always be challenges with making M&A successful, there are ways to avoid some common mistakes. Here are a few. Many CFOs I speak with want to become a public-company CFO. If you have never managed an earnings call with investors, here is a good guide on how to prepare. So you decided it’s time to be out there and network. It’s normal to be shy and uncomfortable in a room where you may know few people. This list can help you through the awkward moments and allow you to start conversations and feel more comfortable. This week’s events in Brussels reminds business travelers to have a backup plan for when disasters happen. There are things we cannot control, but we do need to be smart and safe as we travel to make a difference to our companies. Another survey of CFOs (which leads me to wonder when CFOs can get any work done with all the surveys they take). This one says that the board and outsiders don’t trust them as much as they used to. I’m sure this is tied into the previous article, but I’m just an armchair philosopher, not a social scientist. 3) Office Politics: It exists. How should you deal with it? My CFO Relationship Map is certainly a good visual for the politics a CFO has to deal with. I just call it relationship management. “Politics” has a bad name for some reason. (Read the news lately?) Call it relationships or politics, CFOs that play the game well usually win. We can all improve our game. “Closing the books” is the bane of most CFOs existence. Technology is changing my friends. Find a way to make it disappear. “A new wave of digital tools can help companies to focus not only on hiring but also on managing, retaining, and developing employees.” Wouldn’t you like to do better in hiring, managing and developing your finance team? Don’t ignore the available digital tools. Embrace them and build the finance team that will support you being a great CFO. It never fails. When I talk to Finance leaders about HR (and when I talk to HR leaders about Finance), executives who are usually rational people start to get emotional. I’ve written about the topic in my blog and book. What do you think about Finance’s relationship with HR? When you were younger, you didn’t realize that a big part of your future job as CFO would require you to be a great storyteller. We can all be a better storyteller. Here are some tips. We all do. I think I do. The only reason people think I am great at networking is because they see what I’m doing and believe I am better at it than they are. You can become better. You should become better. Make the effort. 4) Look to your left. Look to your right. One of you won’t be here in 2017. Yes folks, we are back into a market where people are comfortable looking for a new career opportunity. This means that some people that work with you and for you will be gone soon. What are you going to do to keep the people you need? There are many stories of CFOs leading strategic decision making at their organization. In this one, Frontier Communications CFO John Juller discusses positioning Capex decisions on the path to future growth. This short article, with links to 4 different views on how to best manage Activist Investors, is a reminder to CFOs. Be prepared. 2) And even more on: How long should it take to hire a CFO? This topic, in its third week running in CFO Buzz, has John Touey sharing his perspective in CFO.com. Perhaps next week I will add my own. 3) What do recruiters want? This report gives you some good insight as to how recruiters position you. These are generalizations though. Keep in mind that retained executive search know what they are looking for, and if it’s not you, introduce them to who you know. 4) How important is HR anyway? BMW’s CFO thinks that HR is very important, and brings up good points. Questions: How important is HR in your organization? How important should it be? What needs to change? 5) How valuable is Big Data? This McKinsey report says that the value of Big Data depends on the type of company you are. Learn more about this continuing relevant topic to CFOs. Recent research shows that COOs get promoted to CEO much more often than CFOs. This should not be a surprise for most CFOs. My advice: you should become indispensable to your COO. It’s likely he will become your next boss. 2) More on: How long should it take to hire a CFO? In a world where the key players at a company can agree on the kind of person they need as their next CFO, are willing to make this hire a priority, and use a top-notch executive search firm experienced in hiring CFOs – it can take between 3 and 4 months. How long does it take in the real world? This article points to companies that have taken a lot longer than they should. And they even asked me for my opinion. Succession planning for key executives is critical for the ongoing success of any organization. Yet, if all corporations did succession planning properly, executive recruiters wouldn’t be so busy (see previous article). As someone that has helped CFOs prepare their succession, my personal experience shows that most CFOs do not do this well. Many CFOs will admit, in camera, that they don’t have a proper handle on Data Analytics. And they should for various reasons, including making the biggest impact at their organization, and that CFOs that really know what they are doing with Data are worth more. And a better interviewee. These tips in Harvard Business Review are something all executives should keep in mind as they look to hire the best for their teams. Remember – you can only be as good as your team allows you to be. Hiring better requires interviewing better. 1) How long should it take to hire a CFO? Here is one story of a well-known company that has been taking its time, and some of the potential reasons for it. In my experience, companies that take a long time to hire a CFO usually don’t know what they want or need in the first place. 2) Easy Money: Reducing audit fees? Good advice is given on how to minimize those pesky audit fees. A word of caution to CFOs that want to be aggressive with your auditors – Be careful. You want a good relationship with your auditors. Don’t piss them off – It might be career limiting. This blog, while certainly a sales piece, brings to point that CFOs can be their company’s Supply Chain Hero. Are you a supply chain hero? One of the worst things a CFO can do is to be unprepared for a board meeting. Marc MacLeod shares some good advice on how to make sure you are best prepared to deal with what could be a very challenging board meeting. Visibility is critical to the long term success of a CFO. In today’s age, you can easily take steps to be more visible and let opportunities find you. This article points to more reasons why you need to be visible online to be successful in your career. You will notice that I took a break over the holidays publishing CFO Buzz that lasted a little longer than the holidays. We are now back on what I expect will be a regularly scheduled weekly update (once again). Wishing you a very successful 2016! 1) CFO: Chief Fear Officer? Cybersecurity is becoming more of a topic of conversation for those wanting to catch the attention of the CFO. Is this because CFOs are great at being the corporate lead on the topic of “what if this goes wrong”? 2) Do CFOs ever retire? I have had numerous discussions with CFOs over the years that are moving towards the sunset of their careers. This article brings out some key points to ponder. 3) Procrastination: CFOs favorite tool? CFOs are so busy that they have a todo list filled with things that will never get done. Here are some good ideas as to how to overcome procrastination. Make sure you get to read this eventually. 4) Flexible work: Code for slacking off? It would not surprise me that CFOs of a certain generation would think that “Flexible work schedules” means that staff are not pulling their weight. When discussing this, they would continue the conversation by saying “You know, when we were younger…”. Here are some ways to make “Flexible work” work. 5) Are start-ups bad at hiring the right CFOs? This article caught my attention because I see start-ups hiring the wrong CFOs. I could rant, and maybe one day I will. In the meantime, these are good points. Supply and demand are not new concepts to CFOs. While CFOs are able to apply this in innovative ways to operational and financial issues in their business, they continue to face challenges in solving the supply and demand side issues for talent hiring and retention. From my perspective, the focus on short-term results continues to hamper good talent planning and decision making. When an executive starts at a new company, they inherit a team. Building leadership and trust is one of the key immediate challenges a new executive has. Many CFOs I speak with realize this is a challenge when they begin, but some do not give it the priority it needs. If you lead your team to where you need them to go, you will succeed. There are good ideas in this article. This is one story of a CFO fixing a broken company culture to rebuild a strong, ethical group that would impact the business positively. These are important lessons to keep in mind to ensure the culture of the organizations we are responsible for stay ethical. It is no longer sufficient for a CFO to know what the numbers mean. She has to be able to tell a story, and be convincing, authoritative, authentic and trustworthy. This is all part of the transition of the CFO role from keeper of the numbers to leader driving the business. The ability to connect well with others is a strength that top CFOs have. CFOs accomplish a lot when they are able to get different parties with varied interests working together towards a common goal. Communication skills development is a worthy investment. Here are some good tips on connecting well with others. 1) CFO Decision Making – Gut Feel or Analytics? CFOs are called upon daily to make decisions. The modern CFO who has invested in access to data and proper analytics is able to make decisions based on the facts or trends, while the CFO who does not have this ready access to this information is making decisions based on a feeling. CFOs need to move towards decision making based on information. How do you make decisions? Finance and HR are both important support functions in an organization. I find that there is always work to be done to improve the relationship and the impact both have on the organization by work. Here are 4 tips for Finance to immediately improve HR. How does the CFO move beyond the traditional number-crunching and have an impact across the organization in areas of strategy, people and culture? By spending more time across and outside the organization as listeners and advisors. Remember, if you are being hired just to manage the numbers, you are not adding value. CFOs can find themselves having to work with an interim CEO. When this happens, it is important to be aware of the potential biases and challenges that exist when your boss is not committed for the long term. What has been your experience? This interview with Mark McCollum of Haliburton allows us to appreciate some of the challenges he faced when his company acquired their largest competitor, Baker Hughes. There are some good lessons shared here.